Africa's economic growth in 2018 will continue in 2019 in sub-Saharan Africa, averaging 3.6 per cent over the next two years, according to World Bank estimates. He made this assertion during a panel session on 'Refining, Transportation and Petrochemicals Forum', at the just concluded 2019 Nigeria International Petroleum Summit in Abuja. He thus emphasised the need for the federal government to fully deregulate the downstream sector. He therefore stressed the need for government to allow private sector run the downstream industry. "First of all, the refinery will save Nigeria from importation of refined products, which will help to boost the value of the naira," he added. "I think people should demand that subsidy be removed and the downstream sector should be deregulated. Nigerians are dynamic. We don't need government's regulation with respect to the price of petrol. What are they regulating? There is no country that has ever succeeded in regulating commodity product." He emphasised the need for the Nigerian National Petroleum Corporation (NNPC) to rehabilitate the nation's refineries and bring them to full capacity utilization. 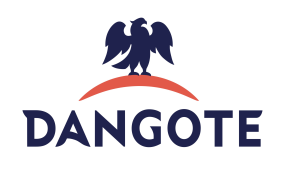 Soyode said, "Dangote's construction of 650,000 bpd refinery is not new to Nigeria. Although, Dangote is presently constructing the biggest refinery in the world, Nigeria has been a big player in petroleum refining. NNPC refineries are gold mines and they are sited in the best market in Nigeria. Why can't NNPC reactivate and upgrade its refineries? NNPC has some of the best manpower in the world. Regulation is not going to stay forever." Dwelling on the need for the federal government to deregulate the downstream industry, Stokman insisted that Nigeria cannot continue to import petroleum products, saying that, "modular refinery is going to play a major role in Nigeria's for self-sufficiency." Iheanacho added that only full deregulation can bring the much needed investment to the sector, saying that "we need a programme that will allow us refine our product locally." He posited that full liberalisation and deregulation of Nigeria's downstream oil sector will remove all the hindrances and bottlenecks that have been discouraging improvement of private investment and market competition.